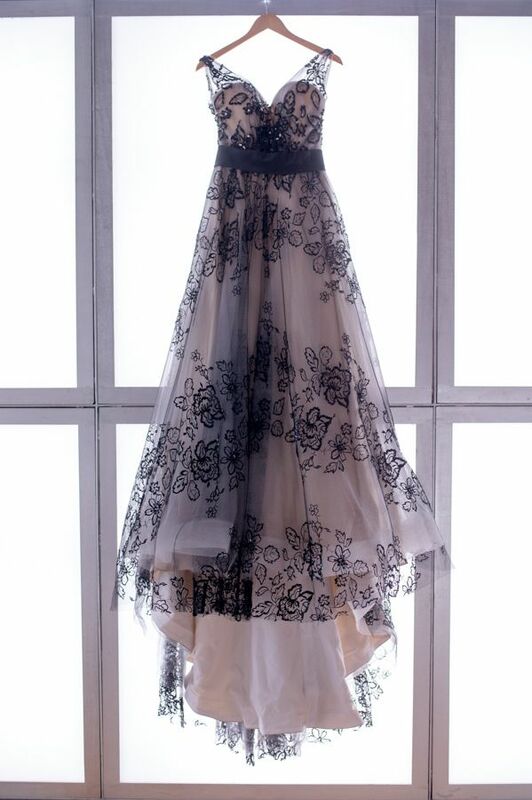 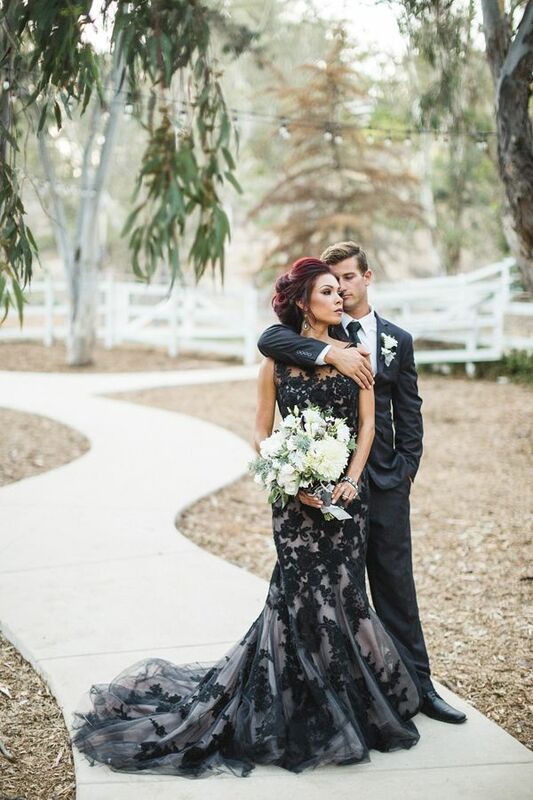 A black wedding dress can be very glam and elegant if you like. 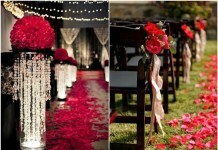 Many modern designers include this color into their collections and you can find a wonderful piece for any style. 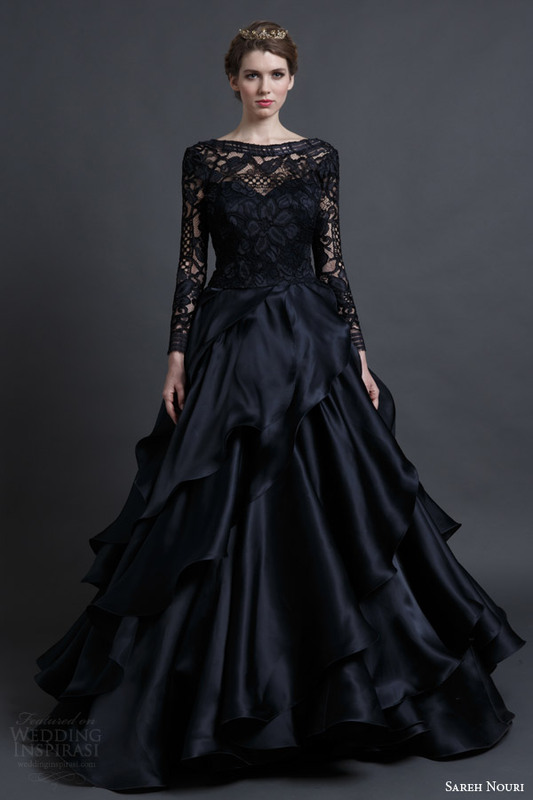 Yeah, Goth and Halloween brides are the first ones to rock a black gown as this color is the most mysterious and classic for Goth style. 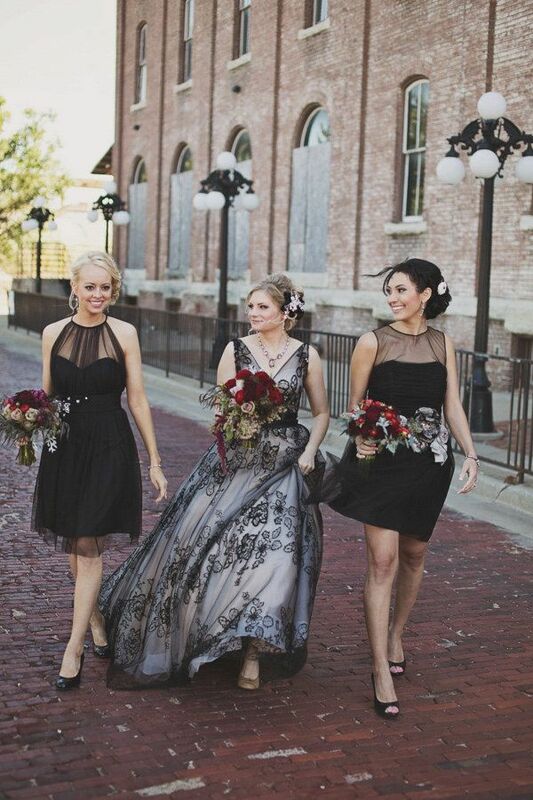 If you are planning a top elegant black and white affair, go for a low cut or lace black dress to look stunning. 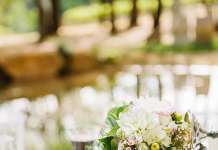 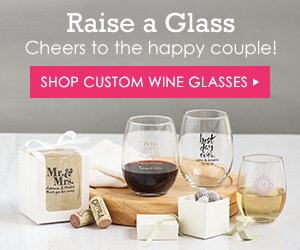 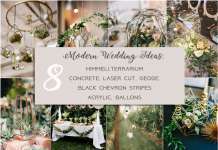 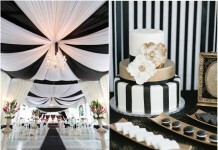 Black mixes amazing with any color you like, from hot pink to turquoise, so you can use any shade to make colorful accents but, of course, black and white is the top combo for any wedding. 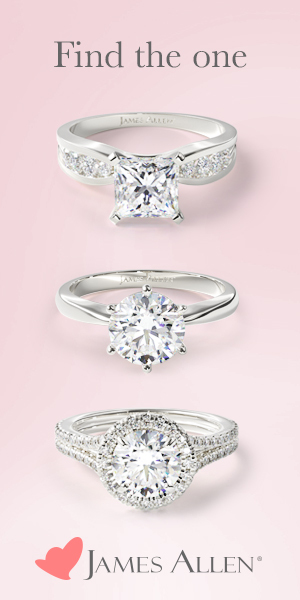 Still not sure? 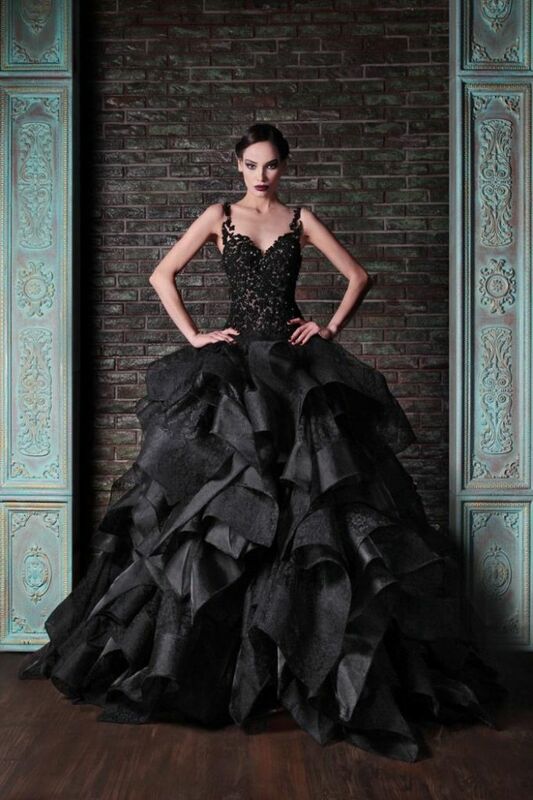 Take a look at these elegant black wedding dresses….. 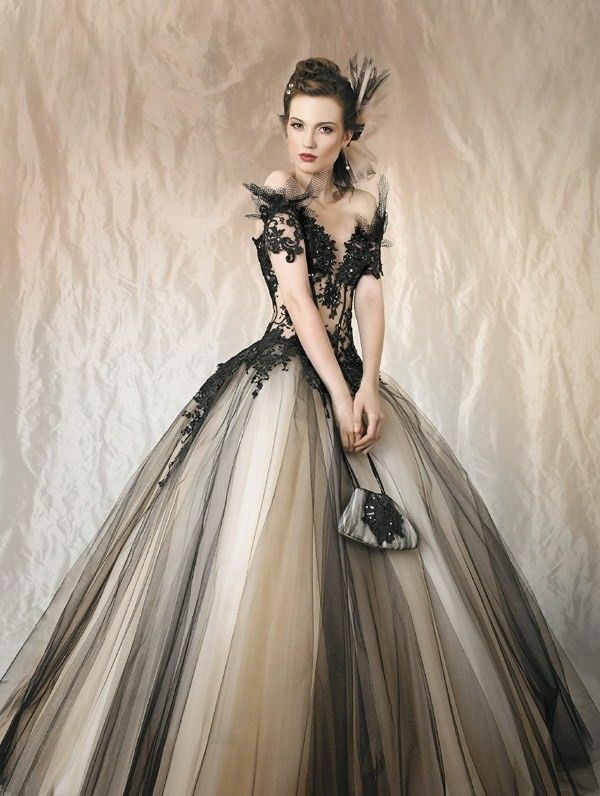 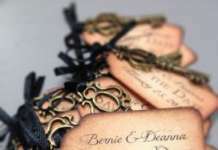 Chic Vintage Brides also have some lovely black wedding dress ideas, you can find it here.